Validation of Cleaning Programs is now a mandatory requirement under most GFSI food safety standards. 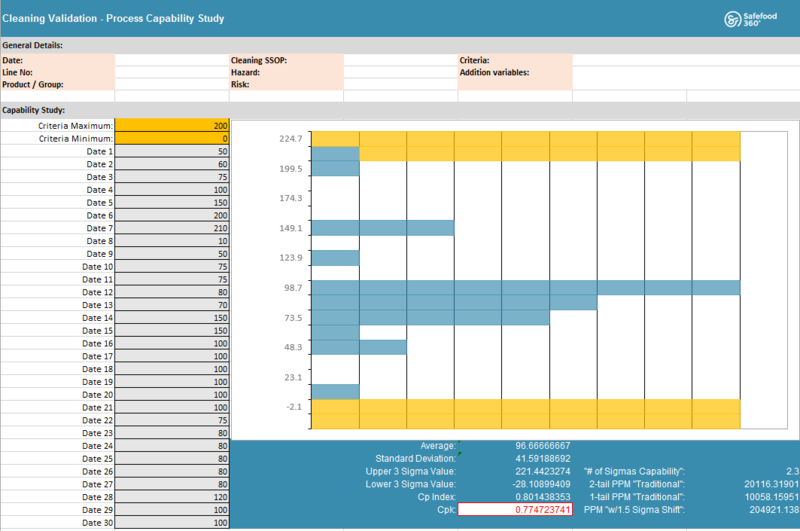 We’ve compiled the tools you need to analyze validation data and report on your results. These tools, accompanied with our cleaning validation whitepaper, are everything you need to know to keep your external auditors more than happy. Several different standards require you to risk assess programs and other Non-HACCP items that are part of your QMS. These include things like cleaning programs, calibrations, audit programs, etc. This workbook provides solid guidance on how to conduct risk assessments of all your programs. 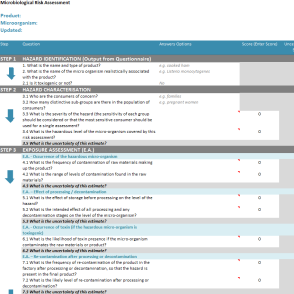 This MRA model helps you make microbiological risk assessments in a simple, guided way. 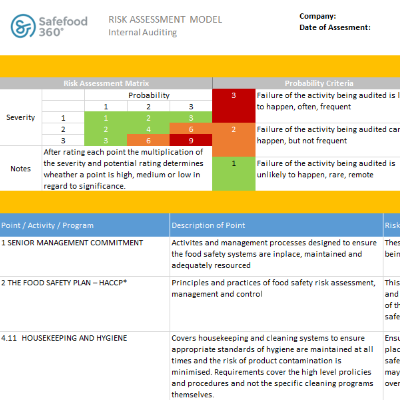 The model contains all the steps required for good quality risk assessment with the final total score providing a measure of the risk. 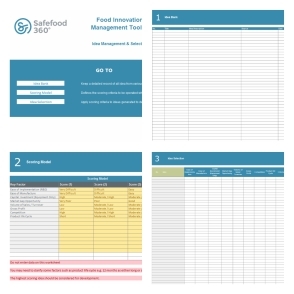 This excel-based toolkit helps offers you a complete, guided process for managing food innovation. The toolkit covers all aspects of managing the innovation process, starting from feasibility analysis, and ending with product launch. The toolkit guides you step by step through the project, and helps you focus your innovation efforts. 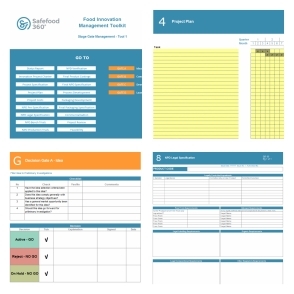 This excel spreadsheet contains two useful innovation tools designed for food businesses. The Innovation Scorecard tool helps you get a better overview about your company’s ability to support innovation, and the Gap analysis tool will help you identify potential gaps in the market place. These two little tools will help your company support and manage innovation in a more profitable way. 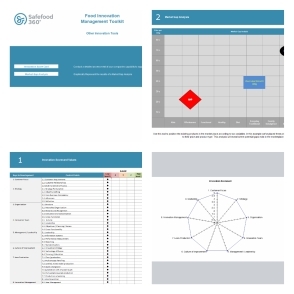 This tool will help you keep all your food innovation ideas in one place and evaluate them in a methodological way. Ideas can be evaluated according to different variables, such as competition, product life cycle, ease of manufacturing etc. The toolkit contains an idea bank, a model for scoring the ideas, and a tool for selecting ideas for further development.